If you want to buy a camera, the first thing you need to remember is: what you will buy is not just a camera. The performance of the camera is strongly influenced by the lens, and can be assisted again by various accessories. One of the famous brands in the world of photography is Nikon. Nikon has released a wide range of the best camera series. Currently we will review the comparison of Nikon D750 vs Nikon D7200 which includes their best products. Let’s look at the review further. Take a look: Nikon D750 vs. D610. 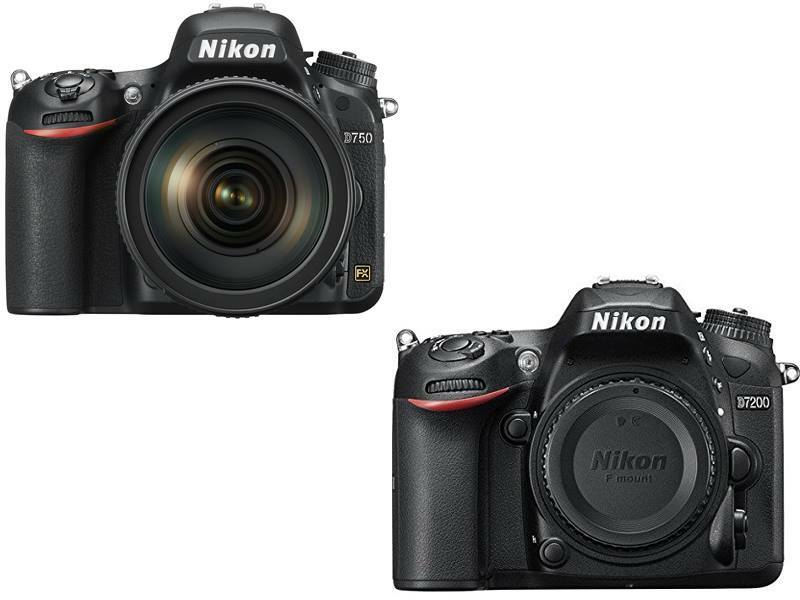 The D7200 is the new star of Nikon’s DX-format line-up. Bring your creative vision to life with photos and videos that shine with sharpness and clarity. Shoot in nearly any light-from dawn until after dusk-and capture everything from sports and action to wildlife and everyday moments. Then share your beautiful images easier than ever with a compatible smart device. Whether you’re a passionate photographer or videographer looking for a tool to ignite your creativity, a pro in need of a nimble second camera or someone looking for an ideal blend of versatility and convenience, the D7200 is ready for your challenge. Both Nikon D750 and Nikon D7200 have 24.0 MP resolution sensors but Nikon D750’s sensor is Full frame (35.9 x 24 mm) and Nikon D7200’s sensor is APS-C (23.5 x 15.6 mm). Since Nikon D750’s has a larger sensor area with the same resolution, this means that it also has a larger pixel area hence better light collecting capacity for a given aperture compared to Nikon D7200. Nikon D750 has a 2.4x larger sensor area than Nikon D7200. Larger sensors give photographer more control on the depth of field and blurry background compared to smaller sensor when shot in same focal length and aperture. Overall, Nikon D750 is the winner of this camera comparison.